Poll: Who will lead Newcastle to the most success? Current West Ham loanee Victor Obinna has agreed a pre-contract deal with Newcastle United. This agreement will see him move to Newcastle at the end of the season when his loan contract with West Ham and his full contract with Inter Milan end. Van Aalst has certainly found a bargain here with the young star. Fabricio Coloccini has already expressed his delight at the signing, and now we know that Jo will not be making his loan move permanent. Jo has been less that impressive all season, while Dale Jennings has played well in spells, but what Newcastle need is a proven goalscorer, and hopefully Obinna can be that. If you are a Newcastle fan, why not tell us what you think. Email us at [email protected] or text us 'YOUR NAME' followed by 'NEWCASTLE' and then your message. Gary will read several out on Saturday's MOTD. Personally don't think you've found a goalscorer in Obinna. Can't doubt that on a free though it's an uberlly immense signing. Well in. I sadly go to Barcelona for the weekend to watch them play Getafe this weekend, so my first Palermo update should be Monday or Tuesday. Thanks folks!
. I sadly go to Barcelona for the weekend to watch them play Getafe this weekend, ! what a weekend you are going to have ! Newcastle United are now looking safe in the Premier League after an almost unbeaten month in February. Nick van Aalst has done very well in keeping the Toon around 15th spot all year, and now they look like that's where they'll finish. A very exciting match down in London where Fulham came from two goals down to draw it up before Dan Gosling sealed the match for Newcastle. Newcastle took a 2-0 lead through goals from Nolan and Jorgensen, only to see Fulham draw it up. Dan Gosling struck with ten minutes left to send the travelling fans into raptures. It was a very attacking game from both sides, with end to end action leaving both keepers with lots to do, and manager Nick van Aalst will be very happy with his sides defensive work. A very easy game for Newcastle, especially after a Wigan sending off early in the second half. One goal each side of half time sealed the three points for Newcastle, Ben Arfa and Jennings having the lethal touches on the day. Guillermo Ochoa did not have one save to make all day, and that will definitely please young manager Nick van Aalst. A good relaxing game before the tough game against Everton coming up. A very aggressive game from both sides, and a game Newcastle probably should have won in front of the home support. Four yellow cards were dealt out to Newcastle players on the day, Nolan, Tiote, Jonas and Barton. That is one area that Newcastle will need to deal with soon. An exact opposite of the same match earlier in the season. The only real positive from the game for Newcastle, was a first Newcastle goal for young defender James Tomkins. All three of the Tottenham goals were very soft, and Newcastle have a right to feel hard done by a bit, but then again, you can't rely on luck in the Premier League. Sitting in the same spot as always on the Premier League ladder with ten games left in the campaign. Newcastle look safe, but they can not ease off now. Pistolped7's Kit Requests - Request a kit now! "I'm so tired of pretending my life isn't perfect and bitchin'." "Hurrr look how manly I am, I bang women whilst upside down and in a coma"
Looks good, and signing Obinna is beast. Hopefully toddzy will have a bit more luck in Palermo. Here is the nufc.co.uk update for Newcastle's short month of games. In their first match in March, Alan Shearer's Newcastle took on David Moyes's Everton. Things did not start so well for the Toon when Luis Saha struck home after just thirteen minutes. A Phil Jagielka own goal though, on the dawn of half time gave Shearer's side hope. Just a minute after coming back from the break, Romelu Lukaku struck it into the back of the net to give the home side the lead. Marouane Fellaini though, ended all hopes of the Magpies taking the game, with a 75th minute header. Two goals all, a result for both teams. In their second, and final game of the month, the Toon travelled to Stoke in what was sure to be a tough game. They could not have got off to a worse start as Kenwyne Jones struck home after just two minutes. Stoke held on till half time against what looked like a lacklustre Toon side. 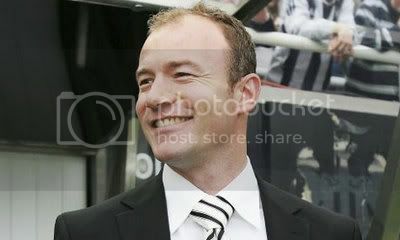 Shearer must have said something at half time as the Magpies came out firing. Two minutes after coming back, Kadlec scored a nice goal to equal the match. Ryan Taylor then put Toon in front just after the hour mark. Two minutes later, Dembelé doubled their lead and the game looked like it was theirs. Dembelé added to the scoring after 74 minutes. Romelu Lukaku completed the scoring with a lovely finish ten minutes from time to round off a great comeback for Shearer's side. Many players praised Shearer's words at half time as being the reason for the comeback. This was a very good month for us. We only played twice but we got four points from two games that were not easy. We are one step closer to Europe and we are looking very good once again. I am delighted with the team. Good story mate. Nice easy read. Please have a look and comment on my story, AFC Wimbledon - The Rise of the Wombles, when u can. Here is the update for the penultimate month of the season, from nufc.co.uk. In the first game in April, the Toon took on Wolves at St James's Park in a thrilling contest. Nenad Milihas gave the away side the lead after just twelve minutes with a superb long range effort. There were stern words from Shearer at half time as the Magpies went in one down, and they came out firing. Ben Arfa equalised after just three minutes of the second half being played. Three minutes after the hour mark, skipper Kevin Nolan smashed one home to give his side the lead. Two minutes later, that lead was doubled by a typical Kadlec finish. Steven Taylor made it a three goal lead before Stephen Hunt would complete the scoring, still resulting in a thrilling win for Newcastle. In their next game, the Magpies travelled to the Midlands to take on Aston Villa. It was always goinbg to be a tough game for Shearer's side but they were just about holding their own after forty five minutes. It certainly helped the away side that Habib Beye was sent off seven minutes before the hour mark. With ten minutes to go, Newcastle finally took advantage, with a Jonás strike handing them all three points. Last time Alan Shearer's Newcastlke side took on Man United, it was Shearer's first game in charge and his team were destroyed 8-1. This however was a different story. Things did not start well however, when Chicarito scored inside the first five minutes. Only three minutes later though, Romelu Lukaku levelled the scoring. Another four minutes on, Shearer's outfit were leading after a well placed header from Steven Taylor. Three minutes later, the Red Devils were dealt a sucker punch when Vaclav Kadlec doubled the Toon's lead to make it 3-1. Twelve minutes later, United got one back through another strike from Chicarito. Unfortunately, the second half was not as eventful as the first with no goals appearing. However, Alan Shearer must be delighted after his side outplayed Manchester United and came away with the three points. After the wonderful performance at home to United, Newcastle travelled to the seaside to take on Blackpool. Defender Sebastián Coates headed home the opening goal for Newcastle half an hour into the match. The Toon continued to control the game and doubled the lead two minutes after half time when Jonás ended a great win with an equally great finish. This resulted in another great win for Shearer's team. In the last game in April, Newcastle travelled to old rivals Liverpool in what was sure to be a fiery affair. Things started brilliantly for Newcastle when Romelu Lukaku burst the net after just five minutes. After this goal though, the home side started to show their authority. Liverpool finally got their equaliser through Charles N'Zogbia six minutes after coming back from half time. This did not last long though, when Stephen Ireland struck an absolute beauty into the back of the net to give the visitors a renewed lead. Liverpool were on top again but failed to capitalise as Newcastle grinded out a fabulous win. What a brilliant month this was for us. After a terrible February, we have bounced back tremendously. Five wins out of five against some very good teams are more than I ever could of hoped for. That win against United was just too good for words. We are now within touching distance of a Champions League spot and I can feel it in my grasp. We must get there now. Steven has been brilliant this month. His defending has been exceptional in all of our five wins and to score two goals is also impressive. Amazing Dan. Champs League football is a must Great first season. I'll hopefully update tonight, but I can't promise anything. Woohoo! 5 wins out of 5! Get that 2nd spot Dan! Yeah sorry about not updating. I have not had time this afternoon due to other commitments. I will try my absolute best to get an update in tomorrow. In their third from last game of the Premier League season, three points at home to Birmingham would be massive to help the Toon ensure Champions League football next season. The Magpies were much the better team in the first half but it looked like heading in goalless. That was until Shola Ameobi made the net bulge in the first mintues of added time. The second half evened out and the Brum made quite a few shots on goals. Toon fans were heartbroken when Matt Derbyshire struck home for Birmingham with just four minutes of ordinary time left on the clock. However, it was not over. In the last kick of the game, Romelu Lukaku burst through on goal to hit the back of the net to give his side a fantastic three points. In the penultimate game of the season, Newcastle had a hell of a tough game, away at Chelsea. Their defence had looked so solid as of late but this did not happen at the Bridge. Chelsea found themselves 4-0 up after half time after being gifted two penalties. In the second half, Frank Lampard completed his hattrick, on his way to ensuring a 7-0 win for the Blues. Alan Shearer's and Newcastle's second seven goal loss of the season. In their last Premier League game of the season, Newcastle faced off against West Brom at St James's. Three points for Alan Shearer's team would make sure that Newcastle could be playing against the likes of Barcelona next season. Things started brilliantly for the Magpies when Hatem Ben Arfa completed a great run to score on the thirteenth minute mark. Four minutes later, the Albion conceded a penalty. Hatem Ben Arfa stepped up.........Goooooaaaalllllll. In to the bottom corner it went, and Newcastle United were cruising. Just six minutes later, Hatem Ben Arfa ended another run with another fabulous goal to complete his hattrick in the space of just fourteen minutes. This wrapped up the three points for the Toon and they will be playing in the Champions League in 2011 and 2012. Well well well. What a finish to a fantastic season for the club. To lose 7-0 to Chelsea was a disgrace but my team fell asleep for a game, what else can I say? To come out and beat West Brom like that afterwards though was very impressive. At the atart of the season, I would have settled for keeping this club in the Premier League but the response I have got from my players and to ensure Champions League football next season is just unbelievable. The Champions League will be on Alan Shearer's radar next season. Last edited by Dan; 24/03/2011 at 07:20 AM. What tactic are you using Dan. Kadlec is scoring quite a few too, how many goals has he scored? Cheers Dan good luck to everyone else taking part. Holy, getting Newcastle to CL.... Amazing! Just like you did with West Ham. Good luck next season. Really sorry about not updating. Again had some commitments. Gonna try again tomorrow, if not, definitely the weekend! I've came to the decision that I can't take part in this story. I've tried several times to write an update and due to the fact it's not Newcastle, it doesn't seem right. Only two matches in March meant an undefeated month for the Toon, as they march on towards survival in the Premier League, which is now looking more likely then ever! A last minute striker from Jose Enrique the much deserved three points to Newcastle. One of Newcastle's best performances from the year, apart from the finishing. They created lots of chances to score, but could not find a way past Robinson until there was four minutes left. Enrique blasted the ball into the net after a scramble in the box following a corner. Newcastle got no more then what they deserved, but perhaps should have bettered their goal difference. Newcastle were behind from the very first minute, literally. A opening goal from Matt Jarvis within 30 seconds sent to Wolves fans wild in the stands before the game settled down. Newcastle looked on the back foot from their, but kept pushing, and eventually won a penalty, which Jo calmly stepped up and hammered into the top left corner. Two goals before half time was all that was seen as the second half bogged down into a defensive battle, with both sides looking content at a draw. The match was not the prettiest either, with three Wolves players injured and two Wolves players and four Newcastle players receiving yellow cards. Not long left for Newcastle now, eight matches to go, and all eight are important if Newcastle want to survive. Newcastle are still in 15th, a spot which they have made their own this year. Still in 15th eh? Sad that toddzy isn't gonna update soon though. I hope for more updates! Football Manager Live story please follow like & comment. Superb updates, guys keep it going, Well done dan clear winner in the 1st season anyway. Need to improve that defence for CL though +16 GD compared to the others. Also love how all the people coming on and saying check my story out have only commented once Probably haven't even read the updates at all! Newcastle have confirmed the signing of Mexican U21 starlet, Erick Torres for a fee of £925,000. The transfer will go through at the beginning of the next season, so Toon fans will have to let Chivas have him for a few months. He has only made two appearances for the Chivas senior team, but has made over twenty for the U20 team, scoring eleven goals in the process. Torres has also made three appearances for the Mexican U21 team, but will be looking to break into the senior team soon. Torres can play as a striker, or just in behind the striker/s, but we will have to wait to see how van Aalst plays the young man. Newcastle United are now guaranteed to play at least one more year of Premier League football after securing their position in the Premier League. They now can not possibly finish lower then 17th, so St. James' Park will see more Premier League football next year. Newcastle made this match tougher than it should have been as they blew many opportunities to put the game away. Two penalties, either side of halftime, from Ben Arfa and Jo put Newcastle 2-0 up with thirty minutes to play. Blackpool pulled one back, but never looked like scoring again, however the same goes for Newcastle. A really poor match left Newcastle fans worried. A last minute goal from Cameron Jerome securing the three points for Birmingham and broke the travelling Newcastle fans' hearts. Newcastle were not safe at this point, and still needed every single point they could get, so a big loss here. The match could have gone either way, and it was definitely one of the matches of the season, but Newcastle will be looking to improve. Jose Enrique scored a goal half an hour in, but at the wrong end, and it was Sunderland's second goal of the match. Hatem Ben Arfa pulled one back right before halftime to give the home team a big advantage at half time. Manager van Aalst came out with his team five minutes early and performed a quite unusual routine. He got the team to go round the ground and talk to the Newcastle fans. He said after the game it was to get the team pumped and raring to go, and boy did it work. They came out firing, looking for the three points, although Craig Gordon was putting in a brilliant performance. They could not score, and when it looked as if Sunderland was going to walk away with the win, new boy Jorgensen scored a header off a towering jump from a corner to share the points. St. James' Park went crazy, fans screaming at the top of their lungs, so loud you could not hear the person next to you. That was the last touch of the game, and it was a big touch. This was the game in which Newcastle secured their Premier League spot for the next season, what a way to do it. A brilliant performance from Guillermo Ochoa garnered a point for Newcastle United against Manchester City. It was a one sided game, in which Man City pushed and pushed Newcastle to the limit, but the Toon held on. 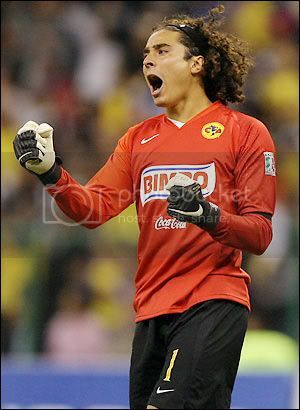 Ochoa was deservedly named Man of the Match for his incredible performance in front of the home fans. Newcastle stretched Chelsea to the limit in the last game of the month with an incredible game in London. A last minute goal from Florent Malouda cancelled out Matthias Jorgensen's very late equaliser. 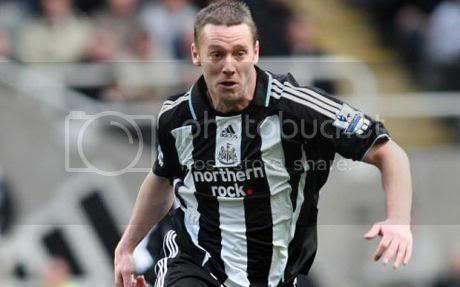 Newcastle took the lead through Kevin Nolan, only for Didier Drogba to score only seconds later down the other end. Drogba looked to have sealed it with ten minutes left, but he didn't know about Jorgensen. Jorgensen beat Drogba to a header off a corner to make it 2-2, before Malouda settled the match deep into injury time with a controversial goal. Not a good way to end the month for Newcastle, but this could be a brilliant motivation for the final month of matches. With Newcastle now safe, they can start to relax, and they still sit in 15th place. We are here at the start of August to bring you all the signings for the Magpies this Summer. Manager Alan Shearer was given £14 million to invest in his squad ready to compete in the Champions League this season. Lets see how he spent it. The biggest signing of the window for the Toon was the addition of Belgian superstar Eden Hazard. Hazard signed for Newcastle on a five year deal. Alan Shearer will end up paying £11,500,000 altogether, only £5,500,000 to be paid up front and £6,000,000 over the next four years. The next signing was one that Newcastle were in mad need of. With Steve Harper on his way out at 35 years old, Guillermo Ochoa was bought for £7,250,000. The Mexican stopper is highly rated around the world but Shearer identified a clause in his contract to bring him in for just over £7,000,000. The next signing for the Toon was the return of an old face. After being released from his Manchester United contract, Michael Owen was on the look for a new club. Along came Alan Shearer. Michael Owen signs for the team on a two year contract worth around £50,000 a week and many think he will make a big impact for the Toon on his second stint. Newcastle moved next to swoop for another free transfer. 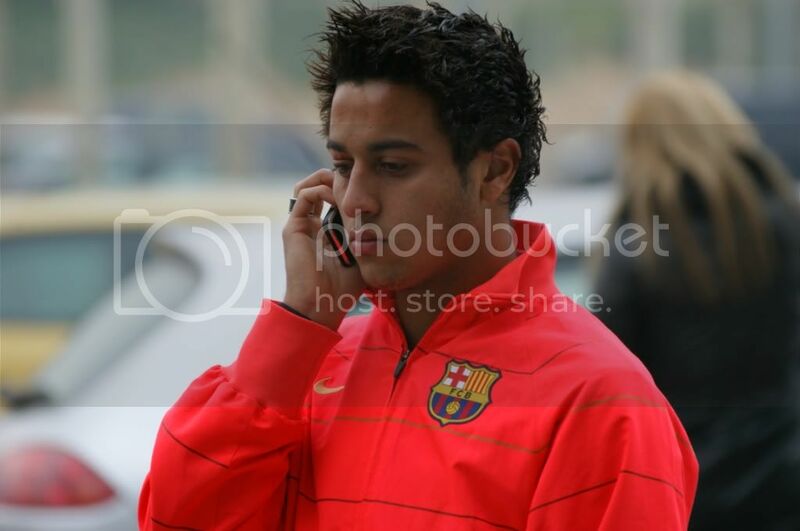 Thiago Alcantara joined the Champions League hopefuls after his Barcelona contract expired. The 18 year old is believed to have a great future ahead of him and he chose Newcastle over a host of other sides. He is believed to have chose the Toon side after a promise of playing Champions League football. Newcastle finished the transfer period by signing Manchester United striker Khouma Babacar on loan for the season. He has been brought in to provide back up to Kadlec and Lukaku. Newcastle also let plenty of players go on a contract. None of these fit to Alan Shearer's standards as a Newcastle player. Good work getting Babacar on loan, Ochoa and Hazard in. Not really sure about Owen, he's kinda old, isn't he?